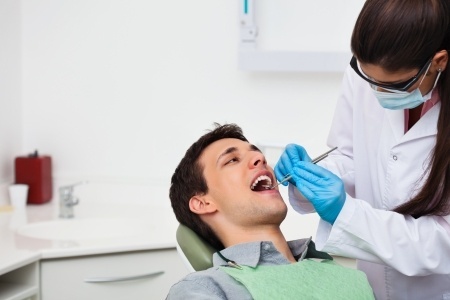 Being prepared for your next dentist appointment will help you get all the information you need to improve your oral health, and be happy about your decision to see your dentist regularly. Make the most of your next dental exam by coming prepared with a list of questions to ask your dentist. Chances are, you’ll learn a lot about oral health and the specific problems in your mouth along the way. 1. Is my mouth healthy? Many patients will wait for their dentist to tell them the condition of their mouth. Instead, take the initiative by asking your dentist just how healthy your mouth is, and what types of problems they believe will need treatment in the near future. By asking this question, you can get a general idea of the future procedures you’ll need in the years to come. 2. Is there anything I can do to improve the health of my mouth? Dentists love when you ask this question, because it shows you’re taking accountability for your own oral health. Because tooth cleanings are only intended to support at-home dental hygiene practices, staying educated on the best way to improve your oral health is critical for keeping your teeth healthy over the long term. 3. Are there any cosmetic or restorative treatments I should consider? Although they aren’t necessary from a medical standpoint, cosmetic dental treatments can make a world of difference for your personal self-image and the way others perceive you. If your teeth are causing you embarrassment or social scrutiny, ask your dentist about cosmetic or restorative treatments. 4. What treatment plans would you recommend? 5. What signs should I watch for to inform me of early cavities or gum issues? All too often, people wait for pain and discomfort to set in before seeking treatment. Because many forms of tooth decay and gum disease can be prevented if treatment is sought early-on, asking your dentist to outline specific examples of early signs of oral problems will help you identify an issue before it starts to impact your quality of life. Visiting the dentist should be a time for open discussion about your dental wellbeing. Even if you are only coming in for a routine cleaning, getting answers to these questions to ask your dentist will help you map your long-term oral health goals. If you aren’t scheduled for an appointment, but would like to talk to our dental professional about these or other questions, contact our office today to schedule an appointment. Schedule a wellness appointment today! Our VA family dentistry services are perfect for adults and children. Ivoir Smiles of Midlothian welcomes people of all ages with type of dental conditions.